Julie Darling is an accredited Therapeutic Harp Practitioner, Flower Essence Practitioner, artist, poet and teacher. She works with people who are seeking an experience of deep peace, as well as groups and individuals who are looking for a deeper wisdom - the language of the heart. Julie holds the belief that music played with sacred intent, can be the doorway to the inner dimensions, opening us to the light and wisdom that lies within our own hearts and souls. 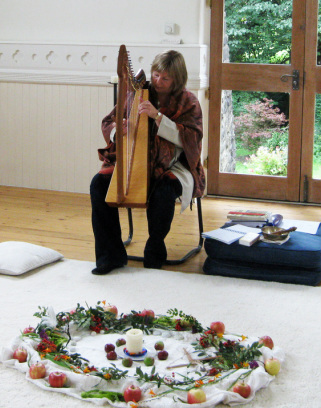 For more than twenty years, Julie has played ‘spiritual harp music’ for meditation, bringing peace, inspiration and a sense of empowerment to children and adults from all walks of life, including inner city children living with deprivation and learning disabilities, clients suffering from terminal illness, and people in recovery from mental distress. "This was a very special experience - a delightful mixture of harp interpretations, excerpts from Carmina Gadelica, and Julie’s own very special and unique input." Julie Darling composes and improvises music with her Celtic harp in the wild and holy places of the British Isles. She creates art, music and poetry inspired by the wild beauty of the natural world around her, and her love of ancient teachings from the Celtic spiritual world. Taking inspiration from nature, and the spiritual practices of islanders whose lives mirrored those of her crofter ancestors on the Shetland Isles, Julie has developed her spiritual life while also living and working as wife, mother, musician, artist, teacher, sister, friend. 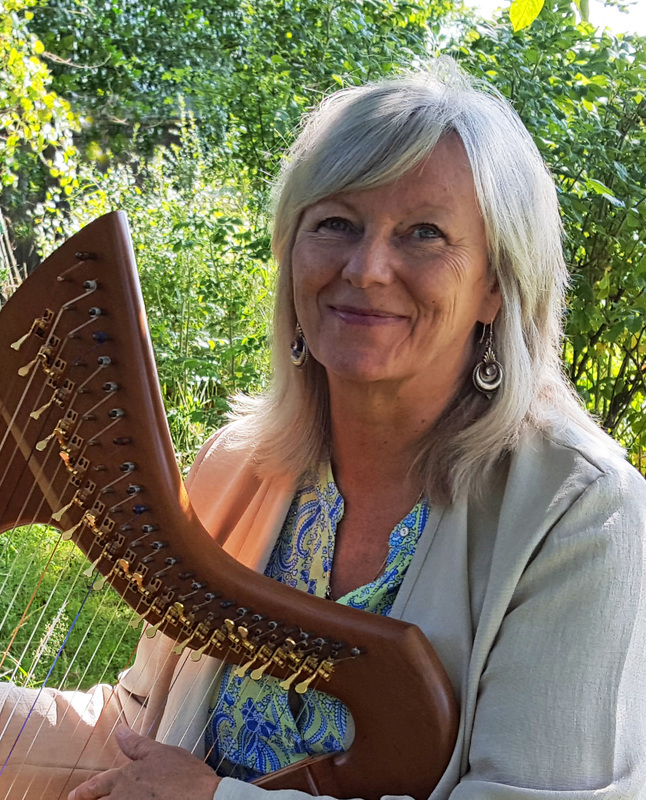 The sounds of wind, wave and birdsong , are woven into live recordings of her music as they accompany the music of her harp in nature, while she creates the Rosegold Celtic Harp Essences.